Preparing for the arrival of your unborn child is an exciting time. 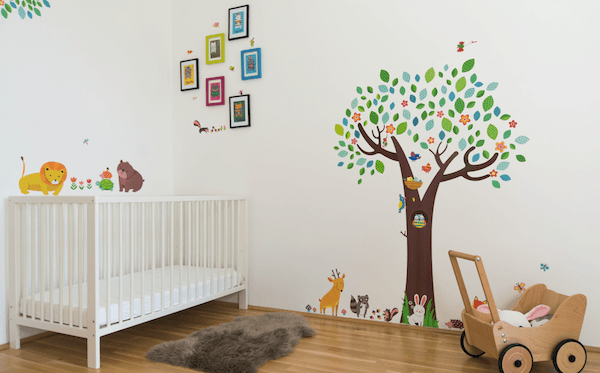 Decorating a nursery and filling it with your purchases and gifts only heightens the experience. You may be asking yourself. Where do I start? 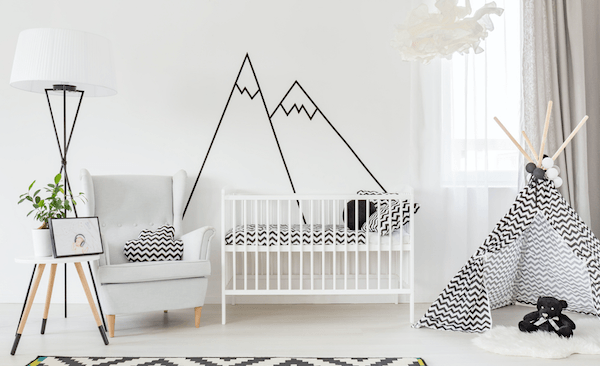 There are two ways of going about decorating a nursery. Commission a designer to help bring your vision together. For the rest of us decorating is a more hands on approach and can be a fulfilling experience. Decorating a room can be daunting. It is a good idea to first determine the look and feel you are after. 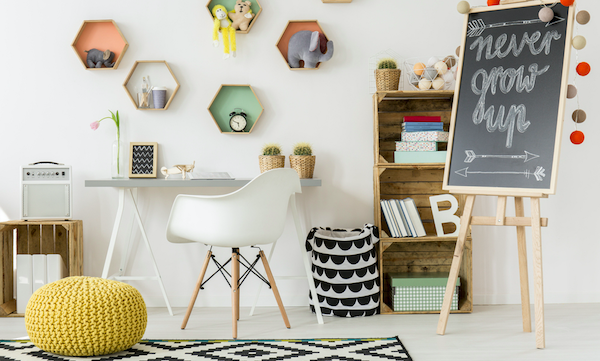 Use resources such as Pinterest, Google search, blogs, baby magazines and home decorating publications to help gather a wide variety of ideas where you can start. Go through the images you have collected and sort them into piles, grouping like-minded ideas together. Identify the pile that you like most and highlight the elements in each image that appeals. Go to the hardware store and get some small sample pots of colours that suit your theme. Paint a small amount on each wall you intend to paint of each colour. Look at the colour during the day and night in natural and artificial light to help determine your colour choice. NOTE: When picking the colour consider the size of the room. Darker colours will close in on a room making it feel small and dark. Lighter softer tones will help to make the room feel lighter and calmer. TIP: Create a focal point in the room. Paint one wall slightly darker than the rest to help bring the room together. You may or may not choose to follow a theme. Themes can help pull all your ideas together in a cohesive manner. They do not need to child like they can be sophisticated themes based around colour, texture, prints, an image, wallpaper, or a feeling. Don’t be afraid to up cycle old pieces of furniture, frames, lamps, chairs etc. New fabrications, paint, stickers can all help to bring an old piece of furniture back to life. It also helps to add personality into a room. 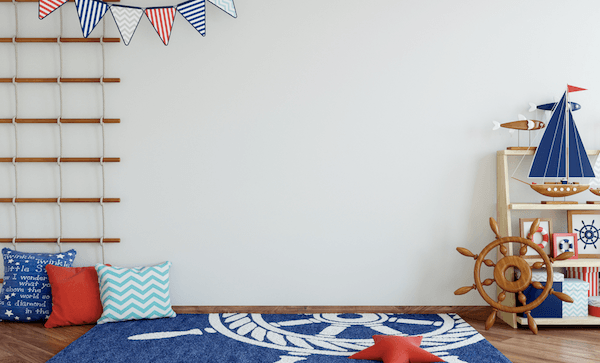 Visit your local second hand store or add some of your childhood toys to the room to add warmth and character to the room. Get creative and make accessories to fill the room. Mobiles, pictures, paintings, cushions, throws, wall hangings, painted letters, soft toys and all beautiful additions to a nursery. You will get a lot of joy out of making the odd addition to the room. Create lasting memories with a photo wall. Frame baby’s first scan photo and continue to add to the wall as baby reaches milestones in his or her life. Keep special little keep sacks along the way. Frame them or display on a shelf for a unique decorating idea. Bring the room to life with lots of texture. Mats, throws, cushions, curtains, fabrications are all wonderful ways to create interest and depth in the room. Remember to stick to your colour theme selecting items that compliment. It is a good idea to have a number of different sources of light in the room. A nightlight, a lamp, wall lights and a ceiling light. This way you can control the intensity of light in the room. This is particularly helpful during night feeds when you don’t want to fully awake baby.